Discussion in 'The Small Company Luthiers' started by dpeterson25, Jul 9, 2008. Hey tele guys...I remember seeing a custom tele type guitar that had (I think) a fralin Twangmaster or p-92 in the neck and was supposed to be the deal. I thought it was Nash that was making them and they were selling them on Musictoyz but I don't see a guitar like that either from nash or on Musictoyz so I must have been mistaken. The hype was that everyone had one (Keith Richards, John Mayer, etc.) Any ideas what luthier was making the thing? Sounds like you're talking about a Linhof. Those are sweet. 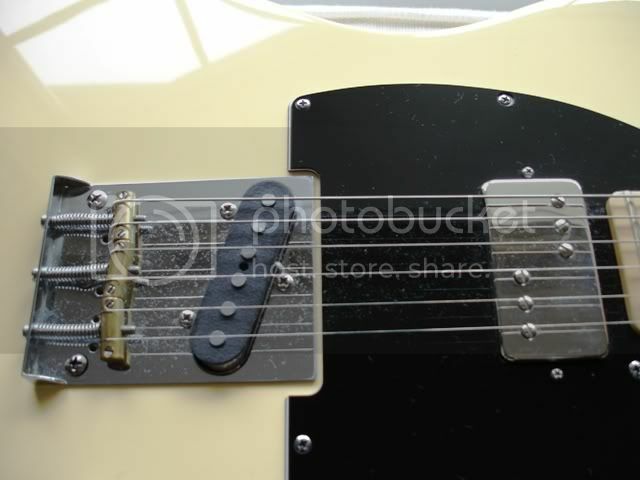 I always thought of doing the lefty tele bridge, but never tried. It's got rib and forearm contours too I believe. Gadow's Nashville is a tele-type that he'll do in a variety of pickup options. I knew you guys wouldn't let me down. Thanks! I believe that Don Grosh will do a Retro Vintage T in that configuration too with Fralins. Here's a Nash TK-54 "Keef" Tele loaded with a Lollar Imperial in the neck and Special-T in the bridge. And a Fender American Standard Tele modified with 4-way switching, a Hoveland Tonecap, PigTail Vintage Bridge, Fralin Blues Special in the bridge and a Fralin P-92 in the neck. 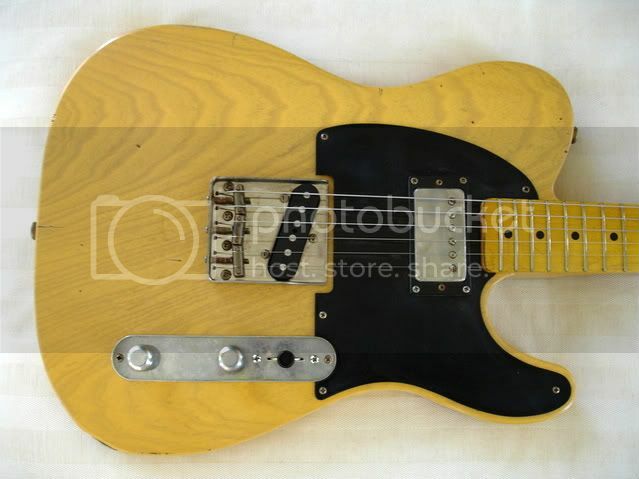 This is my favorite Tele from a tone standpoint!